Call Number: 975.677 RAN N.C. Lists festivals and events held in Gaston County. An annual 3-day fall festival featuring a restored operational cotton gin that is on permanent exhibit in the Gaston County Park in Dallas; more than 30,000 people attend the festival to see exhibits of antique agricultural and textile machinery from all over the Southeast. Information on the county government, as well as information for residents, businesses, and visitors. Need to update your license? Practice tests, manuals, links to DMV information -- all free courtesy of driving-tests.org! Find community and government information about the county seat. Official webpage of the Gaston County school system. A community college located in Dallas, NC. A private liberal arts college located in Belmont, NC. A non-profit organization whose mission is to provide quality, affordable arts instruction in music, art and drama for children and adults in Gaston County. That's us! We have 10 branches spread throughout the county. 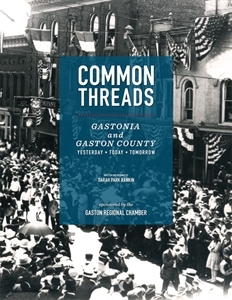 Includes a member directory and list of organizations in Gaston County. Serves eastern Gaston County and includes a member directory. Information for businesses looking to relocate in Gaston County. The Library maintains a list of Gaston & Lincoln County Community Clubs, Organizations, and Volunteer Opportunities. If your group or organization is not listed, please contact us at 704-868-2164, ext. 2. Dial 2-1-1 or call 1-888-892-1162 from your home, office or cell phone to learn about vital services in your community. This call is free, confidential and available in any language. This service is provided by the United Way of North Carolina. Free literacy services, as well as GED preparation and ESL courses. Offers family care for all ages; patients without insurance are charged based on their ability to pay. The Teen Wellness Center is a clinic designed specifically for patients ages12-19 years. At the TWC, teens get high-quality, friendly health care. Teens can pay with Medicaid or insurance. Teens who cannot pay may qualify for free or low-cost care. Provides information on soil improvement and conservation, waste management, water quality and more. A list from the U.S. Fish & Wildlife Service.